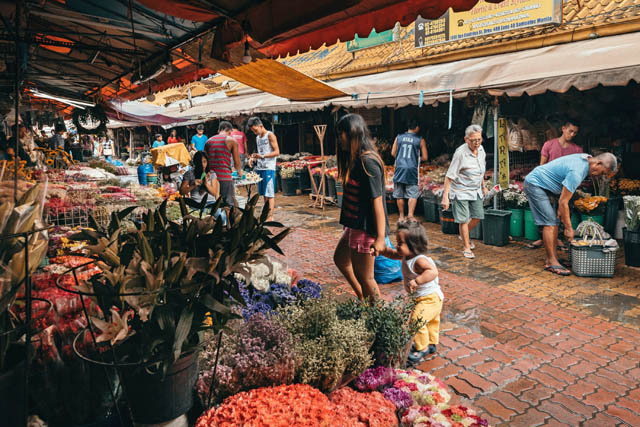 Dangwa Market in Sampaloc is best known as the biggest flower market in Metro Manila. 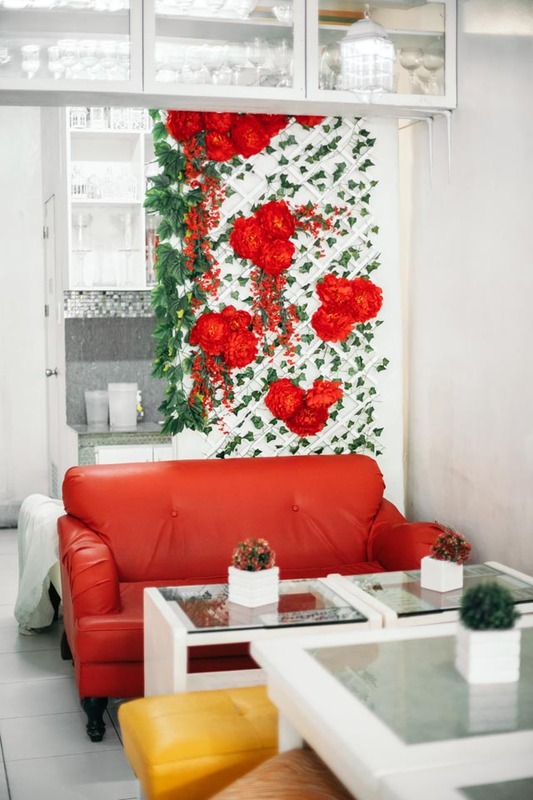 It’s the primary bagsakan of all types of flowers from Benguet and beyond, and everyone from big-time floral retailers and stylists to housewives looking for their Undas flowers all shop here. It’s always busy, especially around All Saints’ Day and before Valentines Day, with the streets from Laong Laan all the way to Maria Clara packed with shoppers. Now if you’re hot and tired, it makes sense to duck into a restaurant in the area. But if you go past the usual fast food spots, you will discover La Taza, a charming café that’s tucked in between the flower stalls. 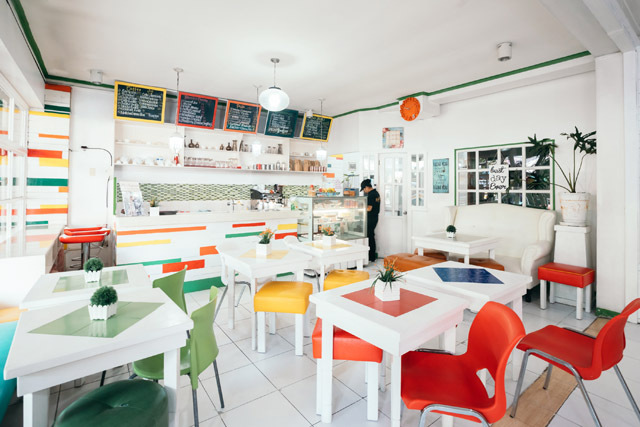 Located on the corner of Dos Castillas Street—the main selling street in Dangwa—this quiet café doesn’t have an actual sign (just a round hanging sign with a teacup logo), but it’s listed on Waze. 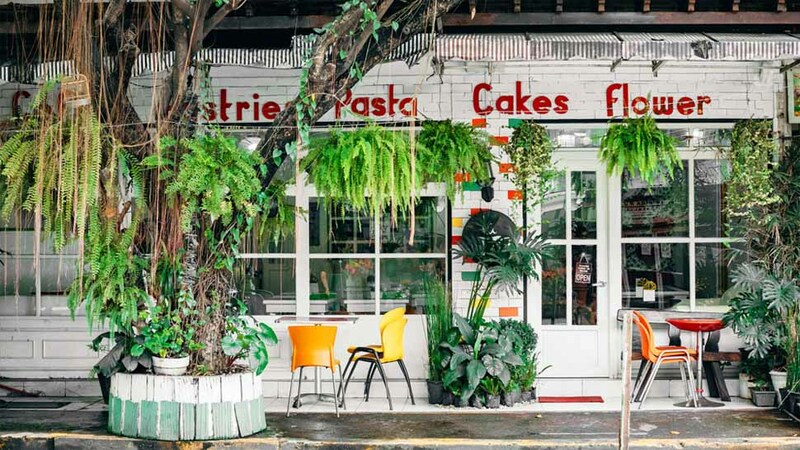 It does, however, have an eye-catching white façade that’s framed by a huge tree and romantic hanging plants and ferns. 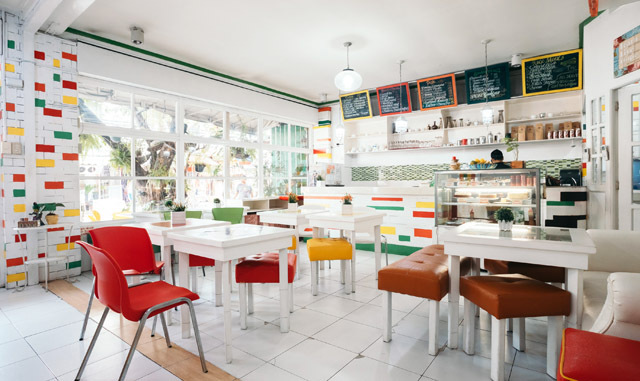 Enter its doors and you’ll find a simple but cozy restaurant, with brightly hued chairs and accents set against an all-white interior. There are corners that allude to its location, such as this trellis decked with faux flowers. It’s a photogenic place, and even Derek Ramsey and Jennylyn Mercado were spotted shooting a movie scene here. 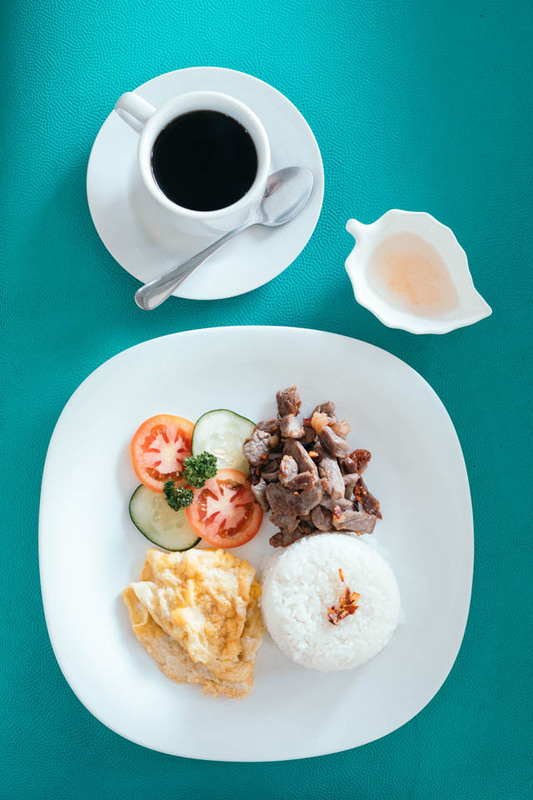 La Taza has a surprisingly extensive menu, with Filipino favorites like tapsilog and pork binagoongan rice, to pasta dishes like Creamy Lasagna and Seafood Marinara. But it seems the patrons go here for their comforting cake and pastry selection, and their locally sourced coffee. 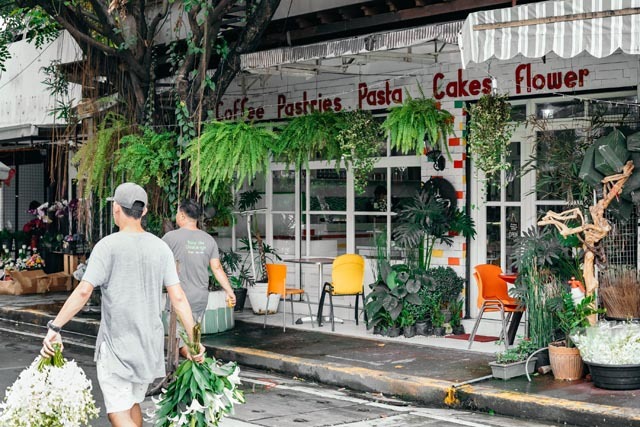 They also go here for the quiet atmosphere—a welcome respite from the hustle and bustle of Dangwa—or as a pit stop before heading to the shopping hub of Dapitan Arcade.